Back in February, Lionsgate CEO Jon Feltenheimer told investors on a conference call that they are "actively developing" both sequel and prequel ideas for their lucrative Hunger Games franchise. While promoting the franchise finale The Hunger Games: Mockingjay Part 2 in July, during an appearance on Conan, franchise star Josh Hutcherson teased that there are prequels and/or sequels being developed by Lionsgate, but he wouldn't divulge any specific details. Last week, Lionsgate entertainment vice chairman Michael Burns told investors at the UBS Global Media and Communications Conference that they are working on prequels, and they could see the franchise "living on and on and on." While promoting her upcoming drama Joy, in theaters on Christmas Day, Jennifer Lawrence told Variety that she won't be involved in the prequels, and that she thinks it's "too soon" for these projects to be developed. "I wouldn't be involved. I think it's too soon. They've got to let the body get cold, in my opinion." The actress could have a point, since Mockingjay Part 2 didn't quite meet expectations. Back in July 2012, just months after the first Hunger Games debuted in blockbuster fashion, Lionsgate confirmed that the third novel in Suzanne Collins' trilogy would be split into a two-part movie. That strategy didn't exactly pay off the way the studio had hoped, with The Hunger Games: Mockingjay Part 2 opening to a franchise-low $102.6 million last month, taking in $227.3 million in three weeks. While the final installment is on pace to be the lowest-grossing movie in the lucrative franchise, the numbers are still high enough for the studio to be prepping Hunger Games prequels. Michael Burns said that many fans missed the actual Hunger Games themselves from the first two movies, which were the highest-grossing in the franchise, so developing prequels would be an easy way to bring the story back into the arena. However last month, Francis Lawrence, who directed The Hunger Games: Catching Fire, The Hunger Games: Mockingjay Part 1 and The Hunger Games: Mockingjay Part 2, said he isn't sure fans would want to see these deadly games unfold again, especially since they will have already known the outcome. 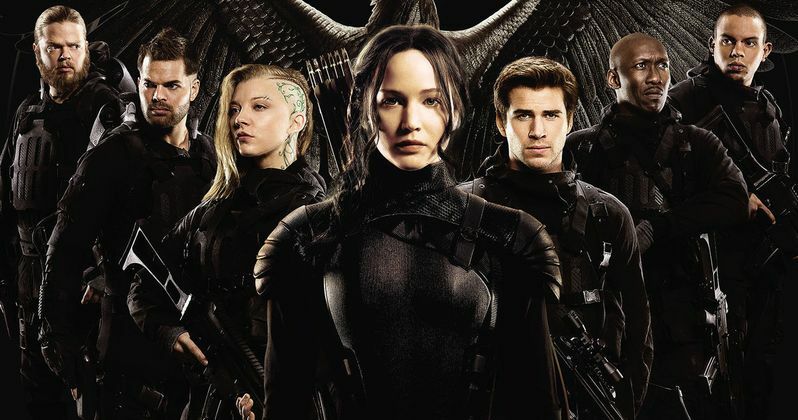 The filmmaker did add that he would come back for another sequel, but only if Suzanne Collins was involved in creating a story that continued the franchise in some way. It isn't known if Lionsgate's development on these prequels is being done with or without author Suzanne Collins. Her original novel centered on the 74th Annual Hunger Games, with follow-up The Hunger Games: Catching Fire taking place during the 75th Annual Hunger Games, a.k.a. The Quarter Quell. It's no surprise that the studio would want to go back to stories that take place during the games themselves, since the first two movies are the highest-grossing out of the four at the box office. The Hunger Games: Mockingjay Part 2 has taken the top spot at the box office in its first four weeks in theaters, taking in $244.6 million so far. However, it's still on pace to be the lowest-grossing movie in the franchise, likely falling under The Hunger Games: Mockingjay Part 1's take of $337.1 million. Do you think Jennifer Lawrence has a valid point? Is it too soon for Lionsgate to be developing prequels to this beloved franchise?